After eight years of Rick Scott in charge, Ron DeSantis takes over as the 46th governor of Florida on Tuesday. Only 40, DeSantis burst onto the political scene in 2012 when he won an open congressional seat. Before that, he went to Yale and Harvard Law before serving in the JAG Corps in the Navy and teaching law in Jacksonville. DeSantis didn’t exactly shine when he turned his attention to the U.S. Senate in 2016 but he scurried out of the race when Marco Rubio decided at the last second to seek a second term. 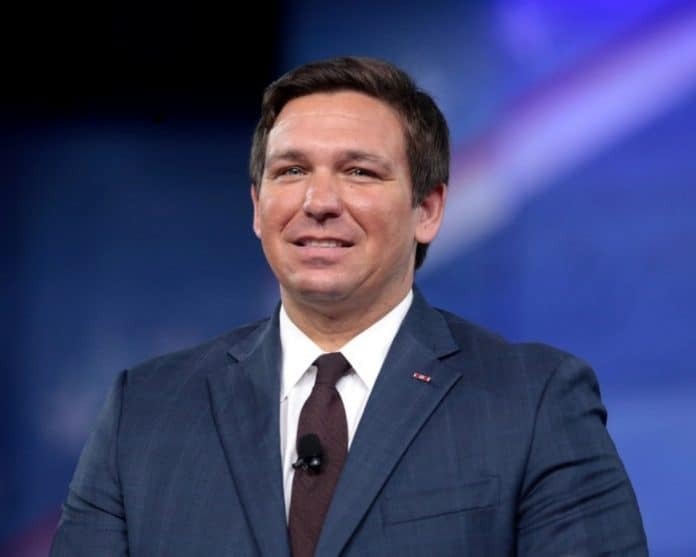 In his third term in Congress, DeSantis became a leading ally to President Donald Trump and used that to spring past state Agriculture Commissioner Adam Putnam to win the Republican gubernatorial nomination back in August. DeSantis edged Democrat Andrew Gillum in the general election but there were some problems, including a preference to focus on national issues than what he will be facing in Tallahassee. Scott leaves Florida in very good shape with record tourism numbers and the state unemployment rate standing at 3.3 percent in November. Based on his appointments, DeSantis seems generally willing to continue Scott’s policies in Tallahassee. Tapping Mike Ertel to be Secretary of State and Richard Corcoran to lead the Department of Education, it’s easy to see that DeSantis will focus on election integrity and school choice as he readies to assume his new responsibilities. With no experience in Tallahassee and little background as an executive, DeSantis is turning to a host of legislators–both current and former–to head up his new administration. DeSantis should be able to get his conservative agenda through the House with little problem. However, despite being controlled by the GOP, the Senate has often proven unmanageable in recent years. DeSantis will have far more problems with the upper chamber than the lower one. DeSantis will have a lot to live up to as Scott oversaw a sharp drop in unemployment, the creation of almost 1.7 million new jobs in Florida, record high tourism numbers and a steep drop in crime. If the economy crashes at the national level, Florida will be severely hurt, just as it was a decade ago in the Great Recession. Too much of the state’s economy relies on tourism and new home construction–industries which often collapse during economic downturns. Toxic algae and red tide also plagued Florida last year while parts of the Panhandle continue to recover from Hurricane Michael. Still, there are opportunities for DeSantis to score some victories for conservatives, including reforming Citizens Property Insurance, higher education and public pensions and expanding school choice. DeSantis also has a generational opportunity to reshape the Florida Supreme Court. Scott left the Sunshine State in good shape, far better than when he took over from Charlie Crist at the start of 2011. Now it’s DeSantis’ turn to improve on or squander Scott’s legacy.